Happy Monday everyone! July 4th is just a couple of weeks away, so I wanted to share with you an easy and cute outfit idea to wear to all of your Fourth of July festivities! 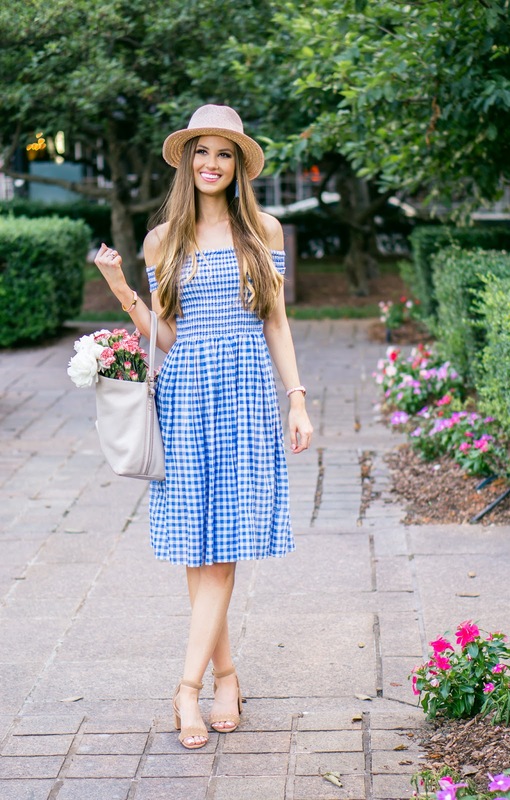 This blue and white gingham dress is just darling and can be worn to a picnic, the beach, a party, a cookout - anywhere! The light cotton fabric is perfect for a hot and sunny July day, and if you're anything like me, staying cool in the summer heat is a must! 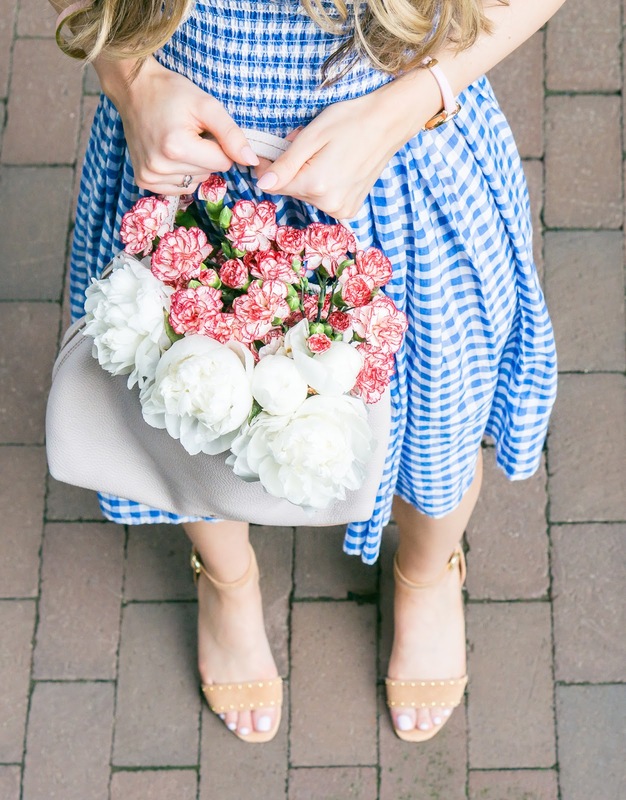 Be sure to add a little pop of red to your outfit with a handbag, jewelry, shoes, or even lipstick and you are ready for a fun-filled and stylish July 4th! ;) I hope this post has helped you in your search for a fashionable patriotic look, and if you already have your outfit picked, leave a comment down below telling me what you will be wearing! What a beautiful dress! Blue suits you well! 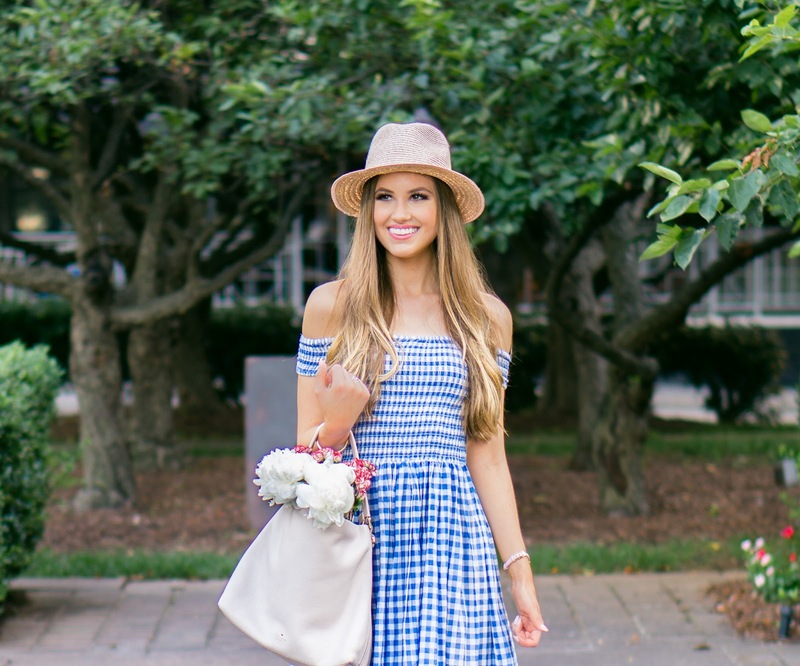 This blue gingham dress is a STUNNER on you! Oh what an adorable outfit! This is the perfect outfit for you! Hope you had a great fourth of July! 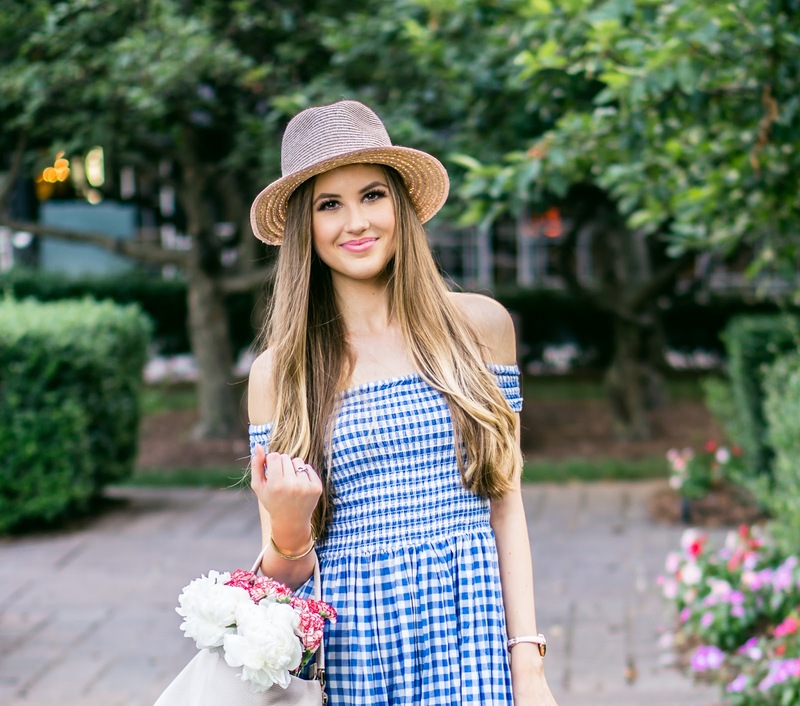 The blue gingham is so perfect babe!!! Gosh you are gorgeous! I love the gingham on you!! !